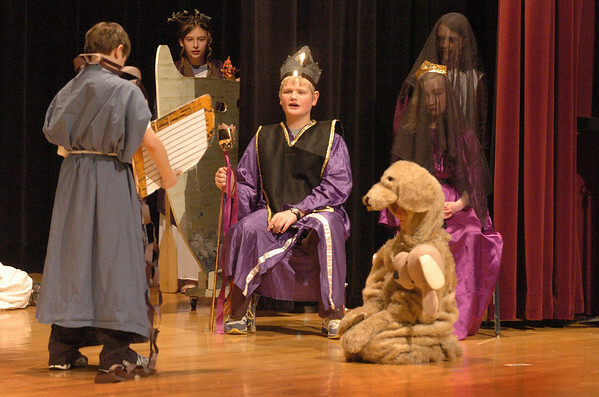 Amesbury: Devin Lund, seated, plays Hades, the God of the Underworld, in a skit at Amesbury on Thursday. The students held their "Greek Day" with many activities ending with a great feast. Photo by Bryan Eaton/Newburyport News Thursday April 16, 2009.